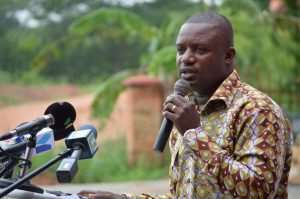 Former Deputy Energy Minister, John Jinapor has challenged a key member of the governing New Patriotic Party (NPP), Gabby Asare Otchere- Darko to provide evidence to back his claims that the NPP government has cancelled some 11 Power Purchase Agreements (PPA) signed by the erstwhile Mahama administration. Soon after Boakye Agyarko's resignation, the new Minister for Energy, Hon. John Peter Amewu disclosed a totally different figure at a press conference on Thursday, September 20, 2018.
Notable among the findings of this report was the failure by some of these IPPs to meet their contractual obligations, thereby prolonging the country's Power deficit and challenges. Rather than continuously whining about Ghana's excess capacity, the Akufo-Addo government should focus on expanding national electricity coverage and the exportation of power to neighbouring countries. Even more disturbing is the fact that the expansion of our transmission lines from 161KV to 330KV which begun under the erstwhile Mahama administration with the intention to expand the exportation of power to Burkina Faso and other neighboring countries has stalled under this Government. These are the vexed issues that should occupy government's attention.